Along with basic practical reasons, our practices concerning food and drink are driven by context and environment, belief and convention, aspiration and desire to display - in short, by culture. Similarly, culture guides how tourism is used and operates. This book examines food and drink tourism, as it is now and is likely to develop, through a cultural 'lens'. 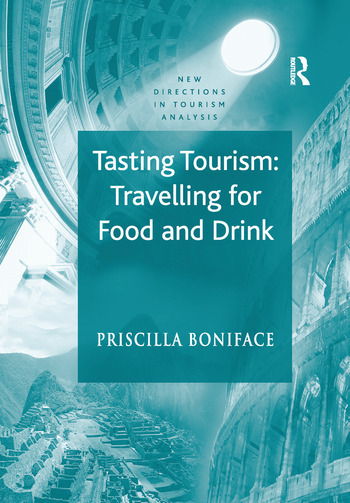 It asks: what is food and drink tourism, and why have food and drink provisions and information points become tourist destinations in their own right, rather than remaining among a number of tourism features and components? While it offers a range of international examples, the main focus is on food and drink tourism in the UK. What with the current diversification of tourism in rural areas, the increased popularity of this type of tourism in the UK, the series of BSE, vCJD and foot and mouth crises in British food production, and the cultural and ethnic fusion in British towns and cities, it makes a particularly rich place in which to explore this subject. The author concludes that the future of food and drink tourism lies in diversity and distinctiveness. In an era of globalisation, there is a particular desire to enjoy varied, rather than mono-cultural ambiance and experience. She also notes that there is an immediacy of gratification in food and drink consumption which has become a general requirement of contemporary society. Contents: Food and drink, from past to present; Food and drink become a leisure destination; Food for thought and visit; Ripe time for providers; Initiative and opinion; Production and display centres and venues; Outlets and markets; Accommodation; Feeding and drinking; Special events and devices, and resources for education; The wine dimension; From among the Cornucopia; The crop now, and for sowing in future; Bibliography; Index.